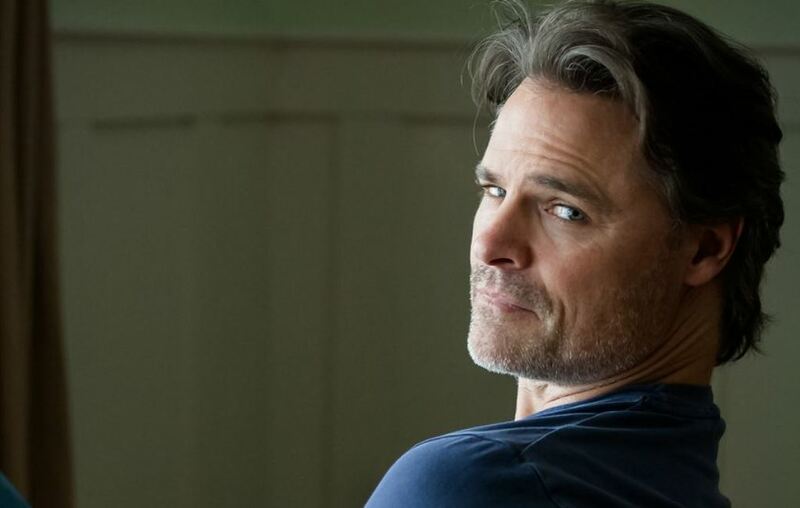 50 Shades of Grey actor Dylan Neal is married to Becky Southwell. Even though his relationship was out of media's reach in the past, it is not hidden anymore. This couple has been married for the last 22 years. Even today, they look like any young lovers. Well, in this section, we will talk in detail about the actor's love life, affairs, relationship, and married life. Just stay with us. Dylan Neal married Becky Southwell on 21st September 1996. Neal does not speak much about his personal life. Therefore, there is not much information about how and where their wedding took place. But, Neal and Southwell’s marriage is definitely a success. Despite, Neal’ hectic schedule, he has always been a fantastic husband and father to their two kids. He is a man who can perfectly handle personal and professional life separately. Likewise, his wife has also helped him to balance his personal and professional career. Before getting married, Neal and Southwell dated for several years. Neal admitted himself that it has already been 27 years of their togetherness but 22 years of their wedding. This refers to the fact that this duo dated for almost five years before they walked down the aisle together. In an interview given to urblife.com in 2015, Neal said: “We’ve been married 18, and together 23. I think you just do what you can do. Everyone approaches it differently I’m sure. Our life is particularly busy right now, and the fact that most of my projects if not all of them shoot in Vancouver or that area and my family is in Los Angeles. It means that it’s a lot of travel, a lot of back and forth when I’m doing Cedar Cove. For four or five months of the year, I travel home every weekend, sometimes a 36-hour trip home to remind the kids what dad looks like. Sometimes with the schedule, I’m allowed to get four or even five days. It just depends on the schedule. According to Neal, he is lucky that he got Southwell as his wife. She is a very understanding and supportive woman. This is one of the main reasons behind the strength that their relationship has. Neal’s wife Southwell is also a busy woman. This couple is often seen working together. They wrote their first script together for The Gourmet Detective movie franchise for the Hallmark channel. Likewise, they write together often and sell projects. Neal is mostly out of his house because of his profession, and thus, he does not get to stay with his children much. My wife is solo parenting while I’m away, of course, so we have to hire a full-time nanny. It’s a juggling act, but it’s really no different from a working parent kind of family. You just figure out how it works. I think that the added struggle we have is that I happen to be away so much of the year. So I’m like a salesman, it’s no different than people who have to be on the road all the time because of work. We just do the best we can, and you figure it out on the way. 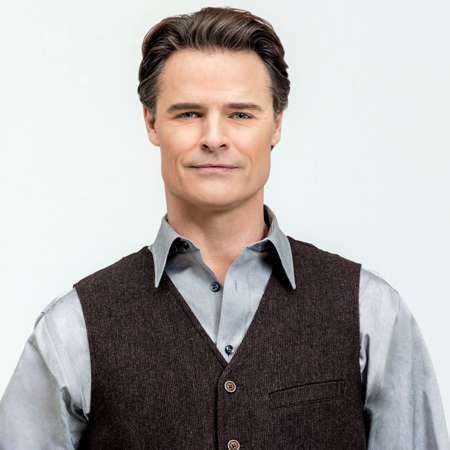 In the past, there were rumors regarding Dylan Neal being gay. But the rumor was later proved to be false. Neal is not gay as he has a perfect family with a lovely wife and kids. And talking about his potential divorce, there’s no chance he might have thought about another woman. He has never had any girlfriend and never cheated on his wife. Thus, there are no rumors of divorce between this couple. According to Dylan Neal, the reason behind a successful marriage is that one has to marry their best friend. Marriage is definitely not an easy thing. Every couple has good and bad days, but the most important thing is to work out the bad days. Looking at Neal's perception and thinking it seems like Neal is a perfect husband who can tackle relationships problem really well. But what do you guys think? Do you think this couple will last a lifetime? Let us know in the comments below. Why did Cindy Crawford and Richard Gere divorce?Who is her current husband?